Good waiting is an art form all its own. Good service in a restaurant can be the making of a meal, a good waiter the difference between an average eating experience and one to remember. A competent waiter walks a fine line. A whole collection of lines really. 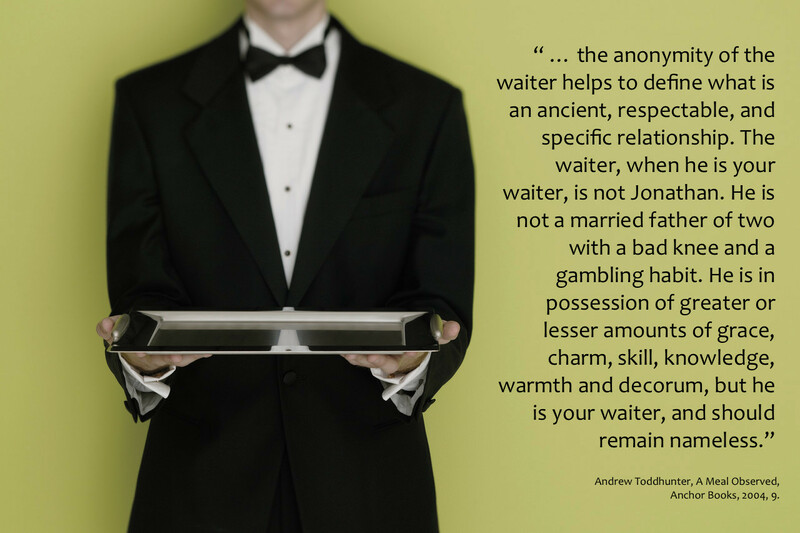 A good waiter is professional without being officious, warm without being intimate, personal without being invasive, efficient without ever appearing to be hurried, responsive while staying calm and measured in every circumstance. While I do get the personal thing, and I certainly don’t want Gary to be invisible — I’ll go out of my way to be responsive and to express gratitude when it’s due — at this particular meal with my beloved or my family or friends, I’m not looking for a buddy. 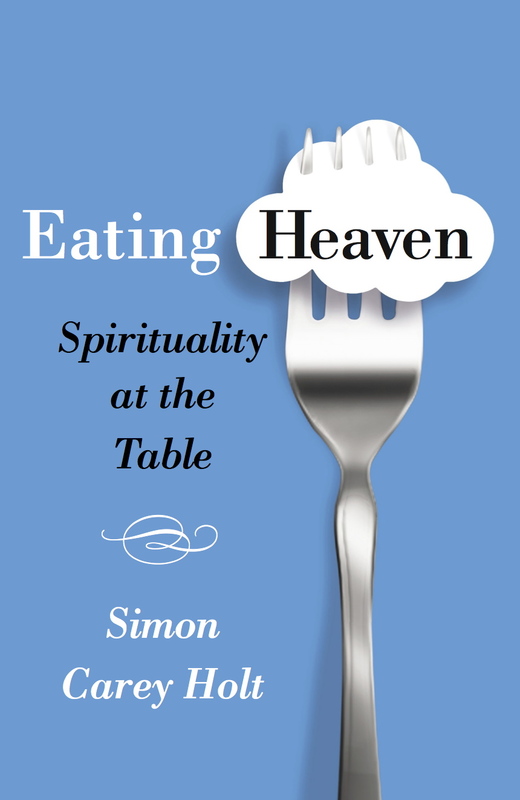 What I need is a waiter — one who’s attentive, responsive and competent. As a guest, I’ll owe him my respect but never my phone number. Call me grumpy, but the writer Andrew Toddhunter agrees. And he’s American! 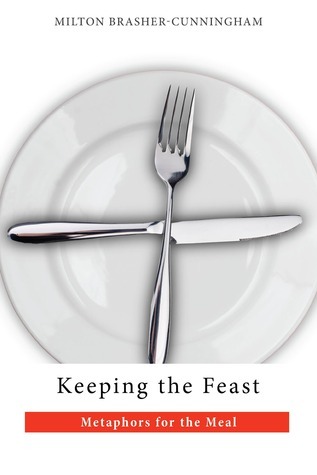 Milton Brasher-Cunningham, Keeping the Feast: Metaphors for the Meal, New York: Morehouse, 2012, 48.